eBenefitsByDesign.com - What is Medicare? 2018 Medicare Open Enrollment Period (OEP) begins October 15, 2017... Turning 65 your Inital Enrollment Period (IEP) is 3-months prior to your 65th birthday, the month of your 65th birthday and 3-months after your 65th birthday. Turning 65? New to Medicare? Losing Employer Coverage? Medicare/Medicaid? Recently Moved? Low Income? Turning 65 your Inital Enrollment Period (IEP) is 3-months prior to your 65th birthday, the month of your 65th birthday and 3-months after your 65th birthday. Medicare Part A (Hospital Insurance) Part A covers inpatient hospital stays, care in a skilled nursing facility, hospice care, and some home health care. Medicare Part B (Medical Insurance) Part B covers certain doctors' services, outpatient care, medical supplies, and preventive services. Medicare Part C (Medicare Advantage Plans) A Medicare Advantage Plan is a type of Medicare health plan offered by a private company that contracts with Medicare to provide you with all your Part A and Part B benefits. Medicare Advantage Plans include Health Maintenance Organizations, Preferred Provider Organizations, Private Fee-for-Service Plans, Special Needs Plans, and Medicare Medical Savings Account Plans. If you're enrolled in a Medicare Advantage Plan, Medicare services are covered through the plan and aren't paid for under Original Medicare. 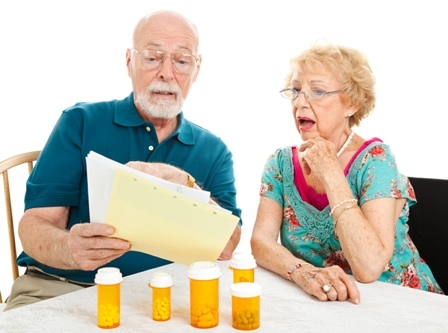 Most Medicare Advantage Plans offer prescription drug coverage. When to Enroll in Medicare? 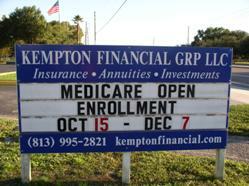 Medicare enrollment windows open when you turn 65 or otherwise become eligible. It’s important to take action. You may have fewer choices and may pay more if you wait.You Medicare Initial Enrollment Period (IEP) is your first window for signing up. The exact dates of you IEP depend on your date of birth, or on the date you began receiving disability benefits. 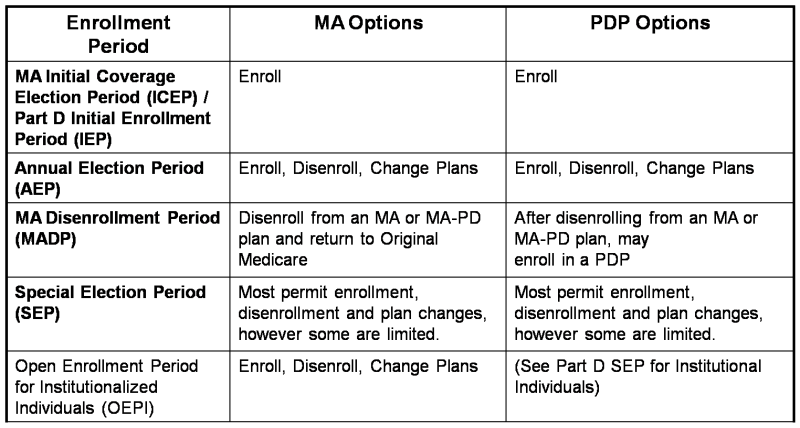 For example, the IEP for someone born August 3, 1951 is May 1, 2016 through November 1, 2015.The rules are slightly different for people born on the 1st of the month. Their IEP’s occur a month earlier than others born the same month and year. So the IEP for someone born on August 1, 2016 is April 1, 2016 through October 31, 2016. It’s important to take action during your IEP. Yu don’t have to sign up for Medicare during this time. But you do need to make some decisions. Questions about enrolling in Medicare call us Now! Copyright 2014-2018 eBenefitsByDesign.com. All rights reserved. Disclaimer: We are not connected with or endorsed by the U.S. Government or the Federal Medicare Program. This is a solicitation of insurance. A licensed agent/broker may contact you. Call us to receive information including benefits, costs, eligibility requirements, exclusions and limitations.